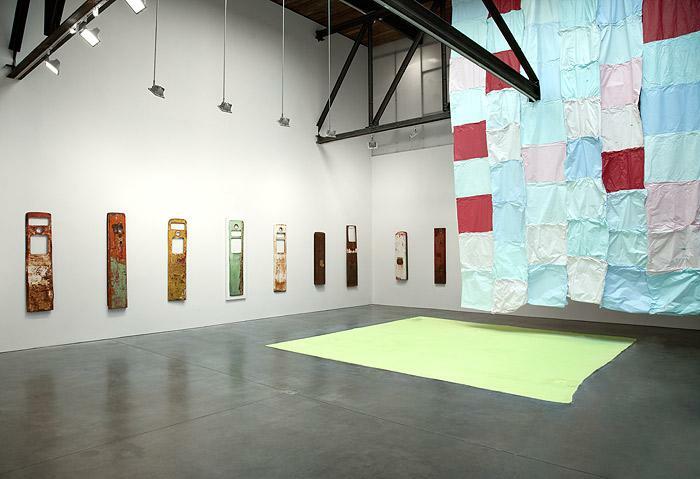 We are particularly excited to bring the works of Karla Black and Nate Lowman into dialogue with each other. By exhibiting works by these two seemingly disparate artists together, this exhibition intends to expand the already rich discourse surrounding both of their works. For Black, the act of making art is a combination of an immediate, visceral process and a concerted effort to make an aesthetically beautiful and seductive object. Black sculpts vibrant fields of color in large floor works comprised of a powdered plaster that combines domestic products with traditional art-making materials. 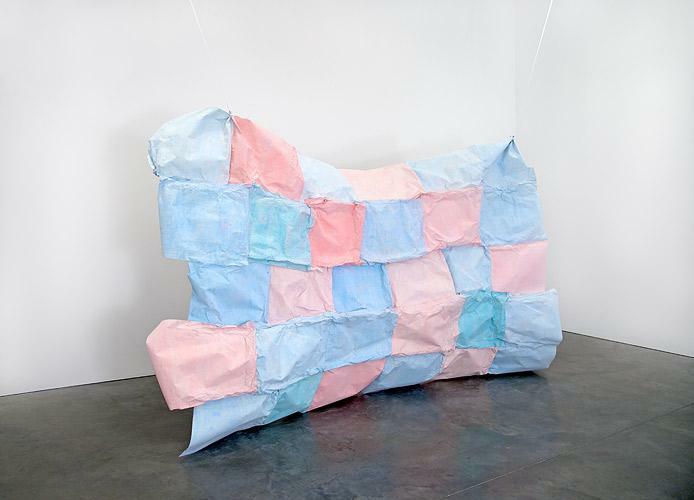 Concurrently, sculptures of colored paper-hanging or self-supported-are both fragile and bold in their presence. In addition to their reference to landscape and abstract painting, Black's works can simultaneously evoke a broad art historical field including a performative action like Smithson's Asphalt Rundown or the sculptures of artists like Lynda Benglis, Eva Hesse, and Robert Morris. 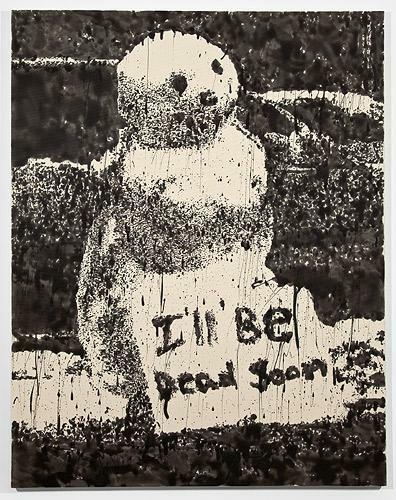 Lowman is deeply engaged with the culture of images and objects. Images become abstracted and painted and objects become sculptures, both referential to their original use and made strange and mysterious and new. 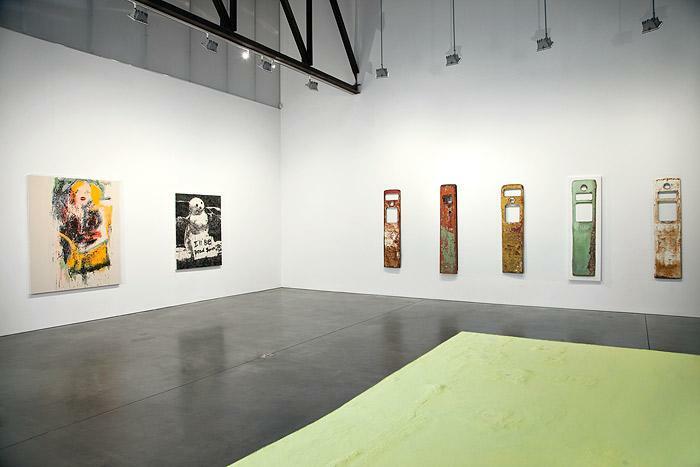 A landscape of American detritus becomes recycled and remade through the artist's innate aesthetic sense. Lowman's seemingly offhand and casual appearance abets an embedded content that moves in and out of focus, remaining elusive against didacticism. Though often utilizing humor, the sincerity of Lowman's work foregrounds deep layers of meaning and trauma hidden beneath the surface of our culture. Rather than representing a reductive coherence, this exhibition reflects the attitude of the most recent contemporary practice of proposing questions rather than imposing answers, of finding the remarkable breadth and diversity of experience enriching, and embracing what is made possible by activating difference and contradiction rather than uniformity and compromise. Both Black and Lowman's work, though indebted to Modernism, question the viability and value of linear progress. Rather than following the necessarily destructive drive of Modernism, both Black and Lowman's work engages the possibility of generating new meaning through recuperation and the language of repetition, mining a shared culture and art historical field. Both Black and Lowman seem to believe that language is an imperfect and sorely inadequate tool of communication. Informed by a broad range of subject matter from anthropological studies of pre-language mark making by humans, 20th century art history, and Melanie Klein's psychoanalytic theory of object relation, Black's central concern is to immerse herself in the seemingly inexplicable compulsion to make art. Rather than seeing art as a deliberate process based in language, Black considers art a product of a bodily, physical desire to make a mark or, as she describes, "a need to just grab the world." Lowman too is interested in the constant breakdown of communication and how images and text can never merely mean what is intended. Lowman's work enacts this overflow of meaning. For Lowman, reproducing an image is not so much an act of appropriation, but rather, one of recuperation. If understanding history is as much about consensus as it is about public amnesia, images and objects can find new life over and over again. 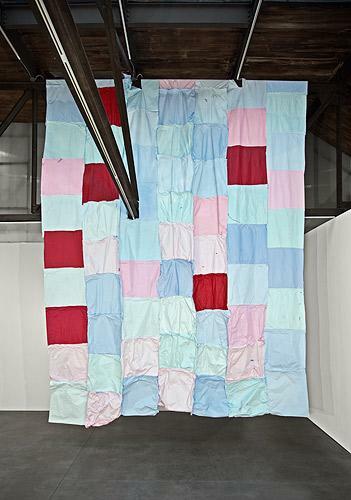 Karla Black lives and works in Glasgow, Scotland and received a BA (Hons) in Sculpture from Glasgow School of Art in 1999 as well as an MFA from the Glasgow School of Art in 2004. Black has recently been presented in solo museum exhibitions at Modern Art Oxford, Migros Museum, Zurich, and Inverleith House, Edinburgh. Later this year she will have an exhibition at Kunsthalle Nürnberg. In 2011 Black will represent Scotland at the 54th Venice Biennale. Nate Lowman lives and works in New York and received a BS from New York University in 2001. Lowman's recent exhibitions include "The Natriot Act" at the Astrup Fearnely Museet, Oslo and a solo presentation at The Hydra Workshop, Greece. 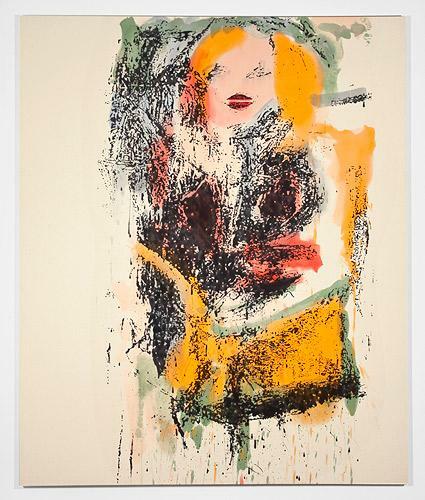 Lowman was recently included in "Beg, Borrow and Steal" at the Rubell Family Collection, Miami; "Mapping the Studio" at Palazzo Grassi, Venice; and "Unmonumental" at the New Museum, New York.